Bundle for MS Office by GN 7.0.3 – Templates for MS Office. Bundle for MS Office by GN (was Templates Bundle for MS Office, then was Bundle for MS Office, then was Office Studio, then was GN Bundle for MS Office) is the ultimate helping hand for users of MS Office. 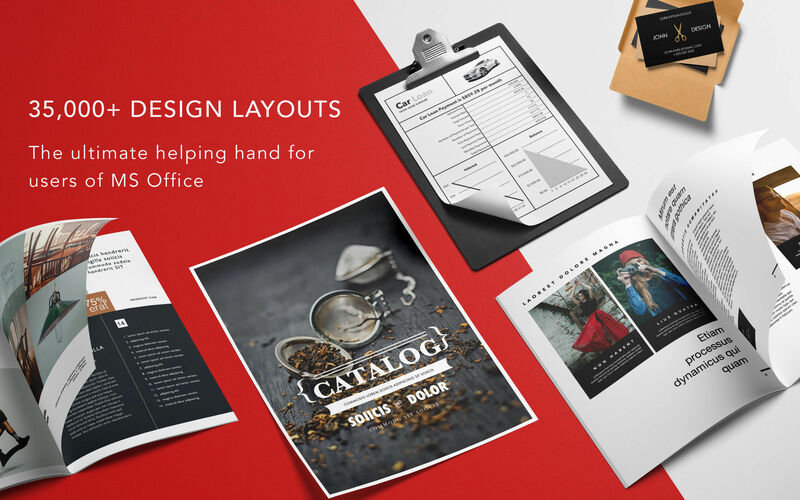 It provides you with original designs for Word documents, professional template lines for MS Word, spreadsheet templates for Excel, impressive slideshow themes for PowerPoint, and motion themes for PowerPoint. Save time and achieve the best results with it! New and redesigned templates added. Next story Prizmo Pro 3.7 – Scan and OCR documents with your digital camera or scanner. Previous story AweEraser 3.4 – Erase data securely. Cookbook Author – Templates 2.0.2 – Book Layout and Cover themes. Infographics Lab for PowerPoint 1.0.1 – Visualization graphics for PowerPoint.